It's easy to take generally dim view of online businesses, despite the financial success of companies like Amazon (AMZN), Airbnb and Uber. With Uber's recent drive to cement its legacy as the sleaziest company in America, the table seems open for criticism and I've got plenty. In part this is a simple distaste for the impact e-commerce has on our communities. Thanks to the gutting of retail, once thriving public spaces are steadily dwindling into service industry wastelands filled with high turnover, low wage bars and restaurants. For people like me who prefer in person shopping, the death of retail has become an exercise in grim frustration. I never thought I'd say I miss Blockbuster, but if I want to watch "The Internship," it doesn't mean I'd like to schedule a viewing in 36 hours. By then I'll have come to my senses. But that's personal preference. My substantive objection to e-commerce is more straightforward: online companies cheat. Across the spectrum these businesses enjoy their enormous success due, in part, to the fact that they avoid or simply ignore inconvenient laws. Traditional shops and services that already struggle to compete don't have this luxury, and they suffer for it. Here's how. Sales tax allows online retailers to steal business from brick-and-mortar businesses by giving e-tailers a built in discount. Put another way, in Chicago the local government forces bookstores to charge an extra 10% while the Illinois Supreme Court has said it doesn't have the power to force Amazon to do so. Even with shipping included, that's an incredible margin purely because the government put its thumb on the scale. And customers respond. Earlier this year Ohio State University published a study that proved what most of us intuit: cut the e-tailer's discount, and shoppers get more selective. 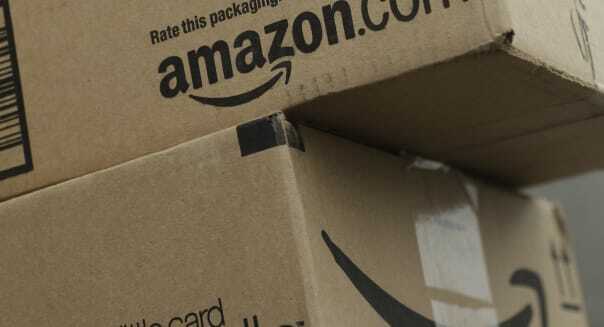 Households spend about 10 percent less on Amazon in states that have an Internet sales tax, and online purchases of $300 or more fall by almost a quarter. In other words, sales tax matters. It's a competitive advantage that online retailers get not because they're smarter, more nimble or offer a better product. They profit from a quirk in the legal system. In 1992, the Supreme Court ruled that mail-order businesses don't have to collect sales taxes for states where they don't have a physical presence without legislation otherwise. Instead it's up to each one of us to calculate how much we spend on Etsy and Amazon and submit a "use tax" every April 15. A use tax is exactly the same as a sales tax except it's up to the consumer to calculate and submit after the fact, instead of sales taxes which are calculated at point of sale and filed by the business. You can imagine precisely how often this happens. No local government is interested in or even capable of enforcing use taxes on every book, diaper and craft purchased online. They enforce it against big ticket items like cars or boats, and the rest becomes a discount for web enterprise. Build a better business, and I'll be the first to say you should collect your rewards. Find a legal loophole that forces competitors to charge more than you, and it's cheating. Online companies also cheat by making their competitors spend more than they do, this time by ignoring the law altogether. We love companies like Airbnb and Uber, along with their copycats, because they can offer traditionally high demand services faster and cheaper (generally) than hotels or cab companies can. They do so by relying on an army of part time and freelance workers who pretend it's all just sharing in order to duck all of the professional regulation and licensing requirements that offline businesses have to pay for. Take Airbnb. An apartment listed on that site acts like a hotel, competes with hotels, makes money like a hotel and for most customers is functionally indistinguishable from a hotel. It contributes to a multimillion dollar business like a hotel. Yet the website and its renters insist that it is not a hotel. So, too, with Uber, whose drivers can offer low cost rides partially because they don't pay for the training, insurance and licensing costs that cabbies have to pay for. By not bothering with business laws, online companies can keep their overhead artificially low. They can offer a product at prices impossible for anyone else, again not necessarily because they have a better idea but because they ignore rules that would add costs. Their competitors can't, because the state enforces those law against traditional business, and consumers follow their wallets. I'm not arguing in favor of any specific regulations. There's ample evidence, for example, that even if it was once a good idea, our taxi licensing scheme has been captured by ride seekers working against the market. The per person availability of cabs in most cities has plummeted because cab drivers want to protect their turf, and part of the reason Uber and Lyft have become such explosive successes is that they addressed a serious need. That doesn't make it fair to enforce the law against some people while letting others off the hook. The government shouldn't pick winners and losers based on who regulators and tax collectors can most easily lay their hands on. Anyone who wants to sell books in my neighborhood should have to charge the same sales tax whether they use a website or a bookshelf. Whether 10 percent is a fair value for that tax is a different issue altogether. Right now we're punishing all those businesses that play by the rules and rewarding an entire sector of industry for thumbing its nose. The web still has a ways to go as a maturing as part of society, and it won't get there until online businesses prove they can compete without cheating.